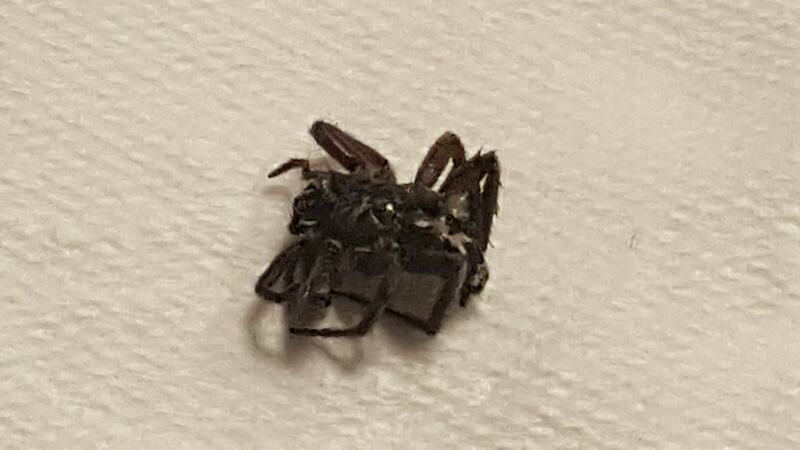 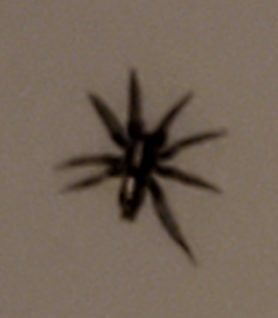 Think its a type of Parson spider, unsure though. 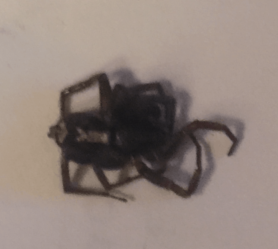 It was found on my bedroom doorframe leading to the bathroom. 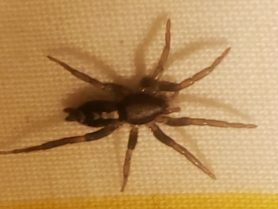 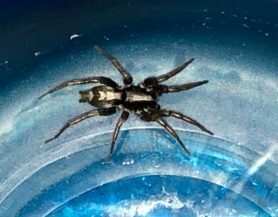 Yes, the pattern on the abdomen would make this a Parson Spider though the details are muddy, Herpyllus ecclesiasticus (Eastern Parson Spider) is the species in your region.